This 1970s cream ascot-tie blouse with brown polka dots pairs easily with denims for a dressed down look or a pencil skirt and heels for a more sophisticated vibe. 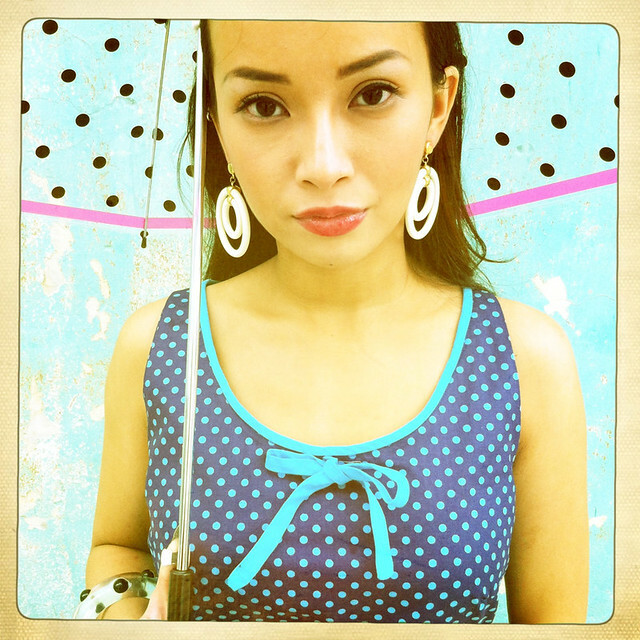 You can’t go wrong with this super adorable 1960s blue polka dot shift dress! 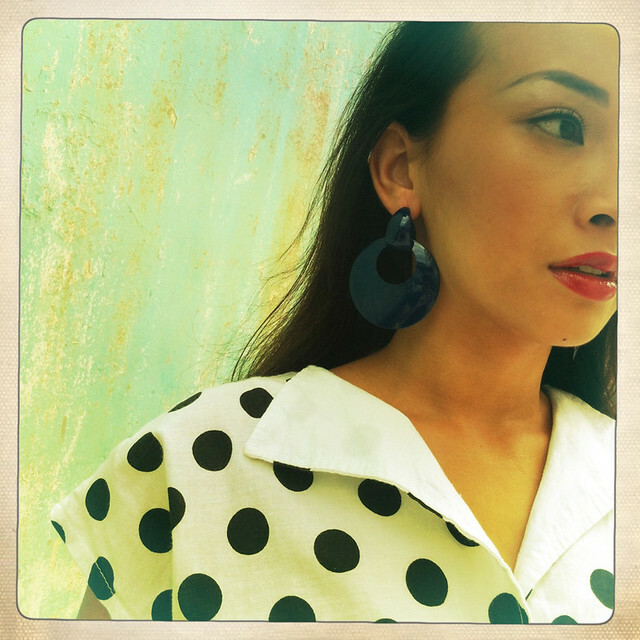 1960s blue polka dot shift dress with ribbon accent; 1960s white circular earrings. How cute is this 1960s clear lucite bangle with black 3D polka dots!? Fun 1980s high waisted black and white polka dot romper with suspender-style straps. 1980s high-waisted polka dot romper with suspender-style straps and cross back. 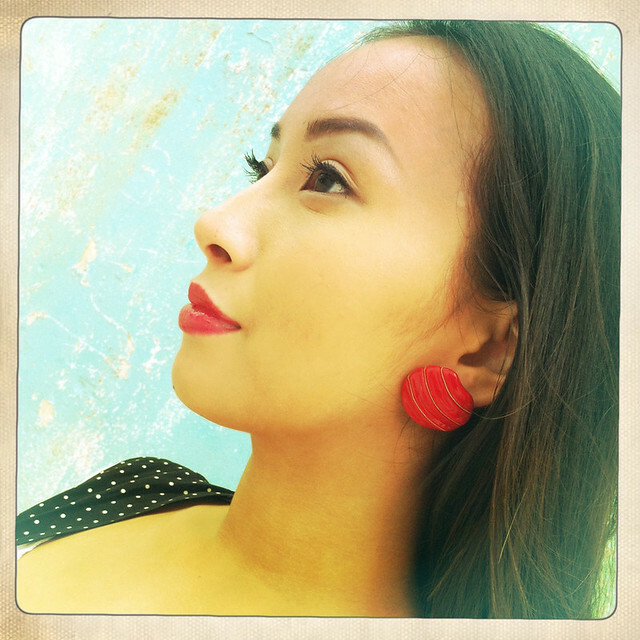 Almost but not entirely round 1980s red and gold earrings. 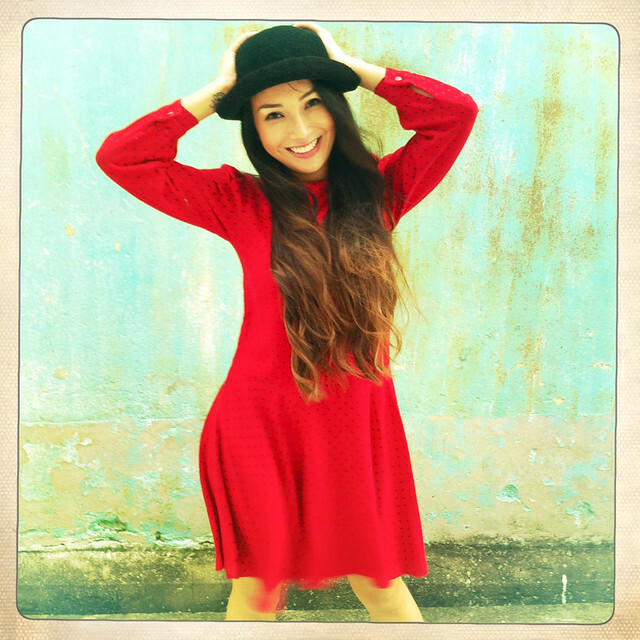 Red hot polka dot long-sleeved dress with a drop waist and a flirty flare skirt. Go bold with this funky 1980s white and black polka dot romper! 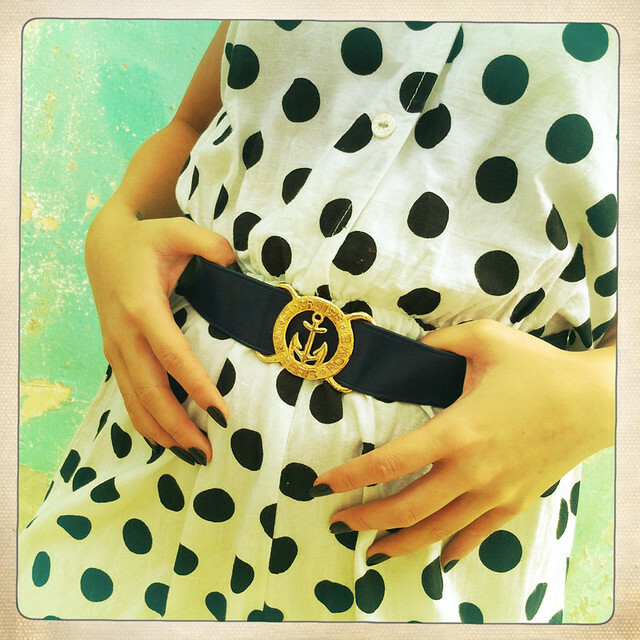 Paired here with a 1980s navy blue belt with a round nautical buckle. 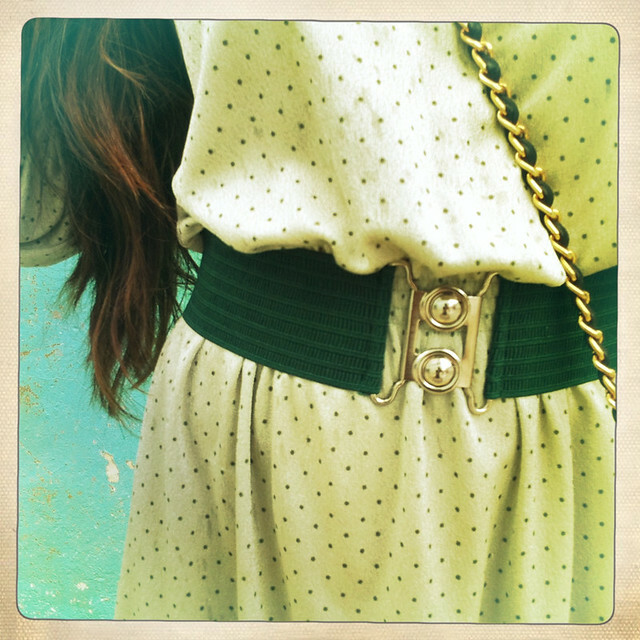 1980s white and black polka dot romper; 1980s belt with a round nautical gold-tone buckle. 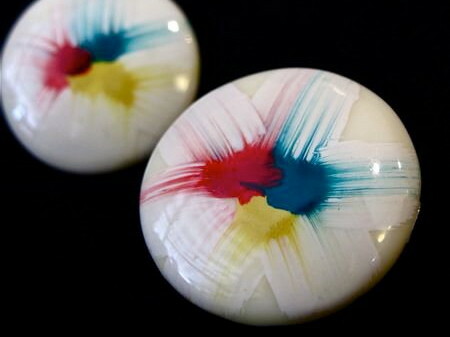 Bold 1980s navy blue round enamel earrings. 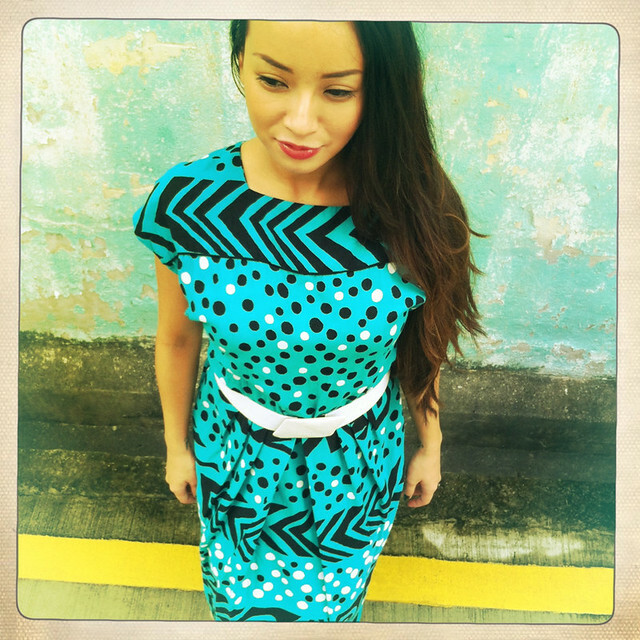 Angular lines meets dots on this quirky 1980s printed dress! We definitely can’t get enough of circles and dots! Delightful 1980’s dress with dots and lines combo; 1980s white and blue polka dot heels. 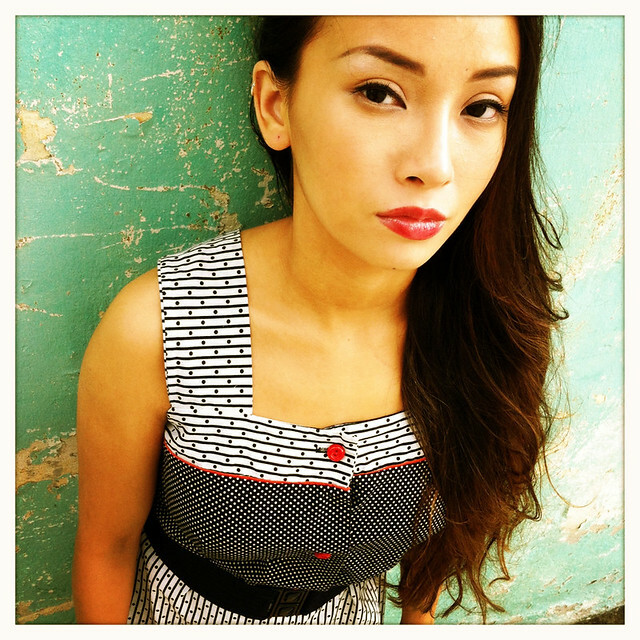 1980’s black and white polka dots and stripes dress with bright red round buttons and piping accents. 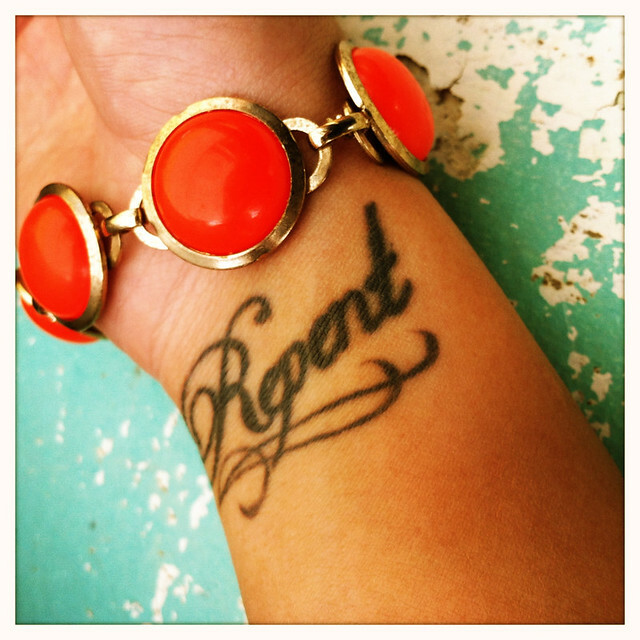 Eye-catching 1960s vermillion and gold-tone dome link bracelet. Stylish and Chic 1980s white and blue polka dot heels. 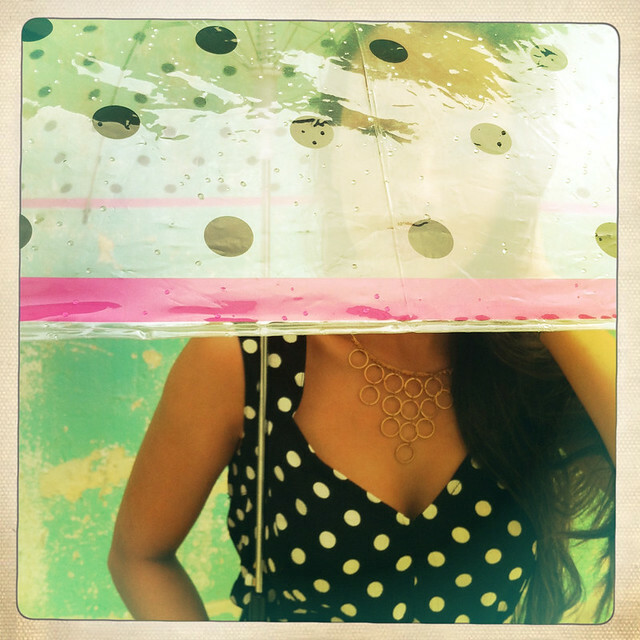 Sway hello to this charming and fun 1980s deep pink and black polka dot skirt! 1980s deep pink and black polka dot skirt with side pockets; 1970s stretch bracelet made out of black circular domes. 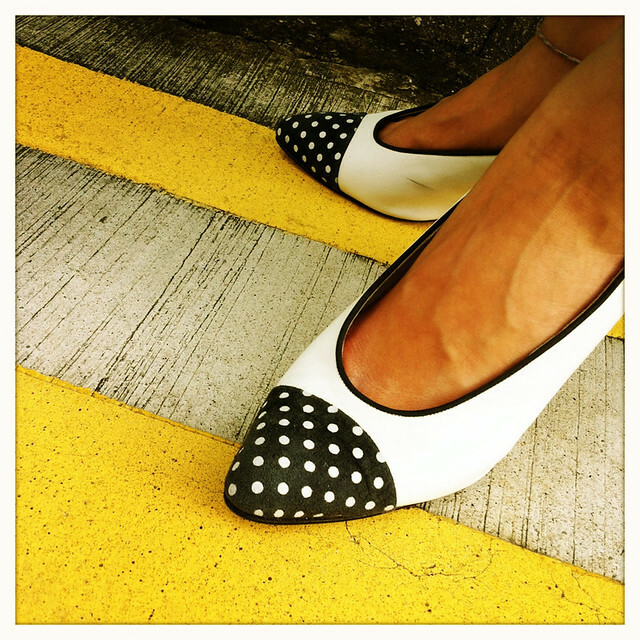 Wear dots to work! Work worthy 1970s light olive-green ascot-tie dress with small little darker green polka dots all over; 1980s green cinch belt with round interlocking buckle; 1980s black leather quilted chain strap bag with cute little round gold-tone accents and tassel detail. 1970s light olive-green ascot-tie dress with small little darker green polka dots all over; 1980s green cinch belt with round interlocking buckle. 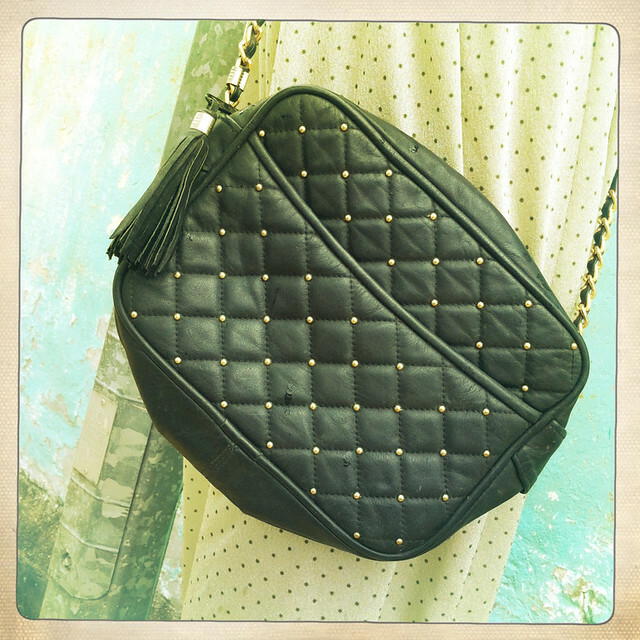 1980s black leather quilted chain strap bag with cute little round gold-tone accents and tassel detail. Green 1980s soccer tee with big white soccer ball print ( Did you know that Oelwein is a name of a city in Fayette country, Iowa? 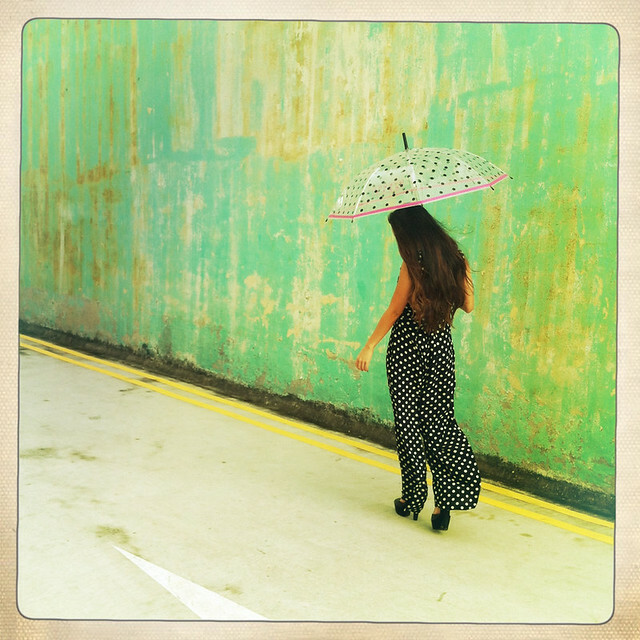 ); Sheer and flowy 1980s black and white polka dot panel skirt. Green 1980s soccer tee; Sheer and flowy 1980s black and white polka dot panel skirt. Wear this darling everywhere! 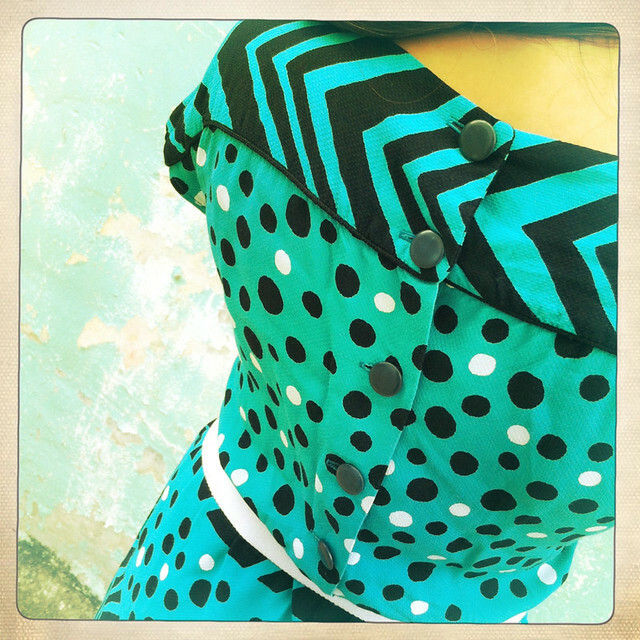 1980s black and white polka dot jumpsuit with a sweetheart neckline and attached belt. 1980s black and white polka dot jumpsuit; 1980s gold-tone choker with tiered circular rings. 1980s black and white polka dot jumpsuit. 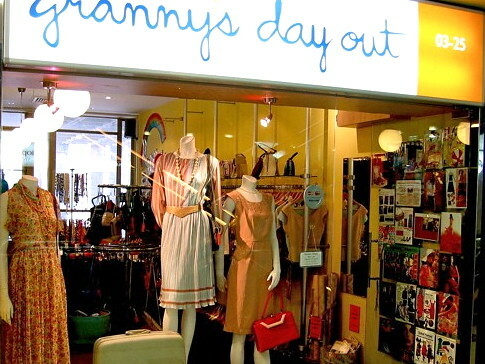 All clothing and accessories from Granny’s Day Out. Please call the shop at 6336 9774 for enquiries on prices.